Great addition to the Iron Man story. Marvel does what it knows best. Solid. Definitely better than 2. "Iron Man 3 is a pretty good film was some highs and lows." 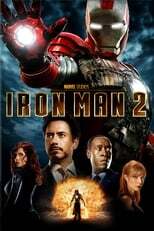 Possibly the best Iron Man movie, easily surpassing the mediocre second film. My favorite of the three Iron Man movies. Cool scenes: skydive, House Party and Pepper. Another great film, not on the level of the first but still good fun. A bit more empty-headed than the first, still a good bit of superhero fun. Great plot, love the romance, and a wonderful ending. Better than Iron Man 2 but not as good as Iron Man. A step up from IM2. Loud, bombastic IM3 is Downey Jr's film to save & he does so with wit. In comparison to prevoius parts, Iron Man 3 is the worst. no plot. worst of the marvel films. Again an amazing action movie! Also Robert Downey Jr. is just amazing. 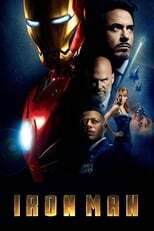 Iron Man 3 is currently in development (scripting underway) for a planned summer 2013 release.